SEARAC reported in 2015 that since 1998, about 18,000 Southeast Asian Americans from Cambodia, Vietnam and Laos have been given deportation orders, the majority on the basis of past criminal convictions where time has already been served. These numbers lead us to systemic double punishment concerns. These 18,000 sought asylum and were given permanent resident green cards in the United States, only to be threatened with return to the very countries they had escaped from. Deportations in Southeast Asian communities isn't new. Strict US immigration laws passed in 1996 have impacted immigrant and refugee communities across the board. This is because Black immigrant and other immigrant communities are highly policed, profiled, criminalized and convicted in a U.S. criminal legal system that we all know to be unjust. This year marks 20 years since these laws passed, and protests have brought together multi-racial coalitions of community groups across the country in a collective campaign to #Fix96. As the United Nations and President Obama wrapped up a series of meetings with high-level leaders to address the global refugee crisis of over 65.3 million displaced people -- the highest it's ever been in human history -- half of whom are children. This is a familiar story to those in the US whose families fled post-war Southeast Asia, a struggling and painful journey to seek safety and peace. While these meetings were taking place in New York City, the Southeast Asian refugee community across the country is faced with a glaring human rights issue right here, right now on American soil -- detention and deportation. As Southeast Asians in the same struggle with a shared history of U.S. intervention and civil wars, we're writing this together as a show of unity in a moment when Lao, Hmong, Khmer, Viet, and Southeast Asian American solidarity overall is urgent and necessary now more than ever. We know the violence and fear that has been instilled by our own fellow community members against each other in our home countries during war, and here in the U.S. during Drug War-era resettlement when communities of color were pitted against each other for survival. As we struggle and commit to recognize the harm and violence we've enacted upon one another throughout our history, we also recognize the systems of militarism, foreign policy, and institutionalized criminalization and racism that created the conditions we all live under today. We come from a legacy of war and trauma that continues to inflict pain and suffering for many families. And while the experiences of our families in our different home countries stem from distinct histories of political, cultural, and ethnic struggle, we are drawn together by a common thread in the displacement from our homelands-- the systemic destruction and divisiveness of U.S. military actions across the region, which will be impacted by renewed U.S. diplomacy in the region. Earlier this month, President Obama made a historic gesture when he became the first sitting President of the United States to visit Laos, a nation still living under the legacy of U.S. intervention of a Vietnam War era that still plagues the land and its people with over 80 million tons of bombs littered across the country. The State Department committed $90 million to support clearance efforts. This was due to the relentless organizing and advocacy of the Lao community, in particular Legacies of War. We can feel pride and hope in the potential of strengthened diplomatic relations between the US and Laos, especially since efforts of justice were led by community voice and leadership, but it must be welcomed with transparent accountability of the different kinds of negotiations that these renewed political relationships will bring, such as Repatriation Agreements. Repatriation Agreements are contracts signed between two countries to secure a path and procedure of deportation between nations. • Cambodia and the U.S. re-established diplomatic relations after the war in 1993, and by 2002 a Repatriation Agreement was signed between the countries. At that point, Cambodian-Americans began being deported to a land many of them had never even set foot in due to being born in refugee camps in Thailand. • Vietnam and the U.S. re-established diplomatic relations after the war in 1995, and by 2008 a Repatriation Agreement was signed between the countries to begin deporting Vietnamese Americans, at a much more restricted rate than Cambodia, however. • Laos and the U.S. re-established diplomatic relations in 1992 and has yet to sign a repatriation agreement. 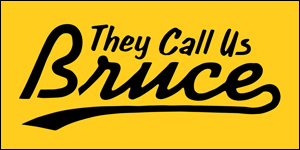 This could change with the recent visit and declaration agreement. With the strengthening of U.S. relations with Laos, and given the pattern we've seen in Cambodia and Vietnam, we must be smart and rigorous, and know that a repatriation agreement could be just around the corner. Strengthened relations between our home countries and the U.S. should not also come with the signing of Repatriation Agreements that will ensure the further destruction of Southeast Asian families from one generation to the next, and from one side of the world to the other and back again. It's a crucial time in our current rhetoric and global crises that Lao Americans and other Southeast Asians stand in solidarity with the Cambodian community, knowing also that our fate could be the same. The U.S. immigration system is often called broken, and it has been unfair and unjust for the thousands of Southeast Asian families it has divided. This isn't just a temporary issue that's going away or only impacting a few. It's a human rights issue that cannot be ignored. 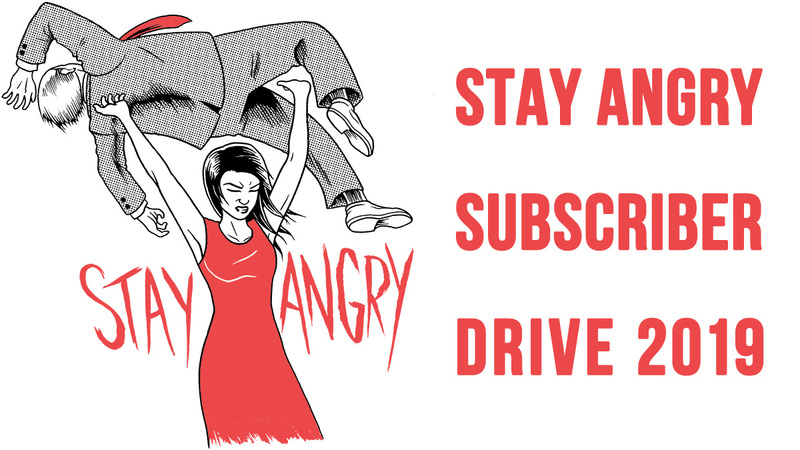 It's time to amplify the issue in our community and be in solidarity as Southeast Asians. As Southeast Asian Americans, our human rights fight today is deportation. For the past 14 years since the Repatriation Agreement was signed between the US and Cambodia, it has been our Khmer brothers, sisters and family who have felt the brunt of these deportation policies. 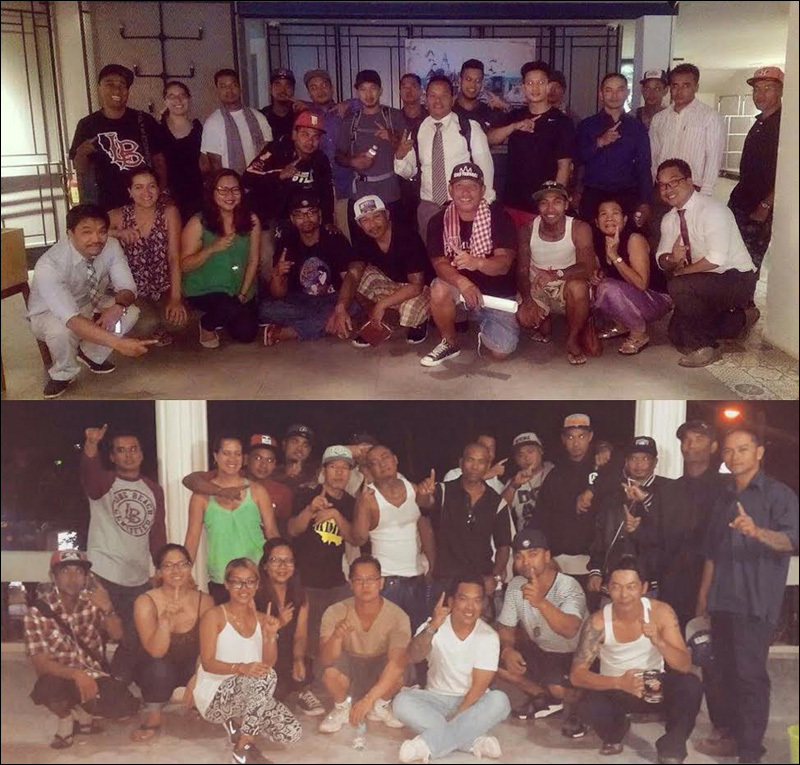 1Love Cambodia is a deportee-led organization based in Phnom Penh, Cambodia, which is leading the fight for justice from the other side of the globe. If our deported community members and loved ones can stand up and demand justice, then we must unite and do the same. It's time for us all to step up and address deportation because immigration policies impact us. We must do better, because we can, and the time is now. 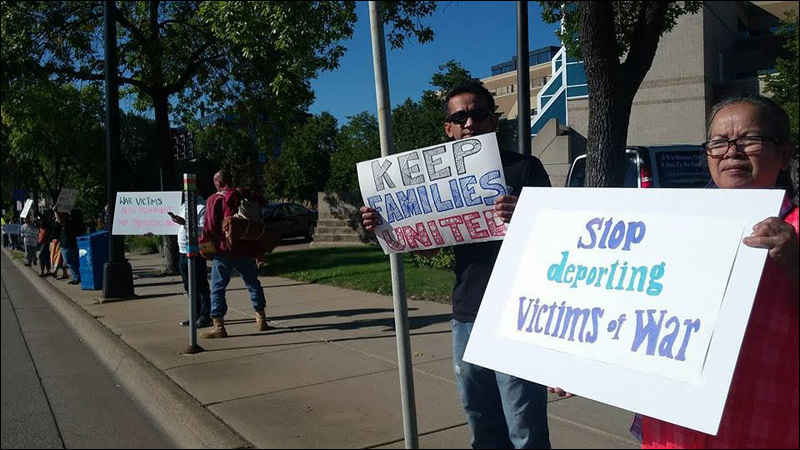 Sign the petition to stop future deportations of Cambodian Minnesotans. 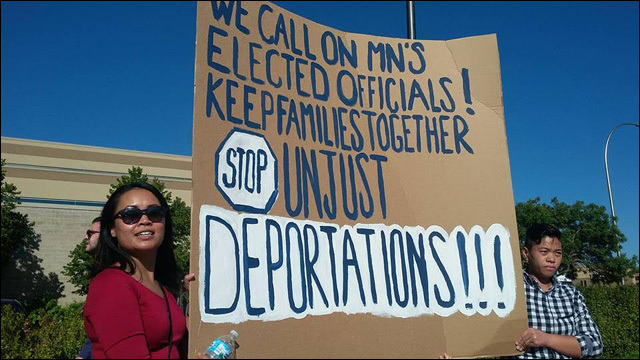 Learn more about the local work through the organizing of the families impacted by this crisis, and their supporters, such as No More Deportations Campaign Minnesota and IKARE. 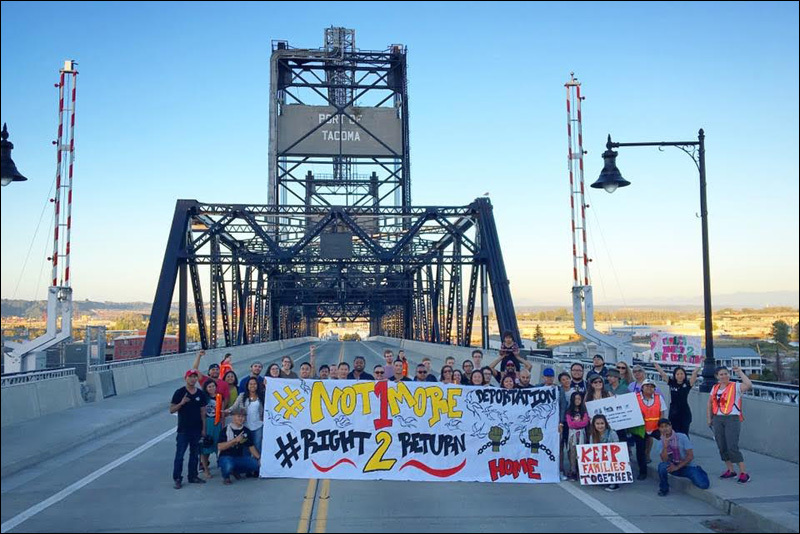 Follow their efforts and alerts with the official hashtag #Not1More and #Right2Return. Mia-lia Boua Kiernan is co-founder of 1Love Movement, a grassroots advocacy organization formed during a detention and deportation crisis of Cambodian-Americans in Philadelphia in 2010. Chanida Phaengdara Potter is the founding editor of Little Laos on the Prairie, an online Lao diaspora blog serving a Lao'd perspective, news, culture and life since 2011. Both are advocates of immigrant rights and grassroots reform. For more information about this article, please directly contact the authors Chanida Phaengdara Potter at editor@littlelaos.org or Mia-lia Boua Kiernan at mialiabk@gmail.com.